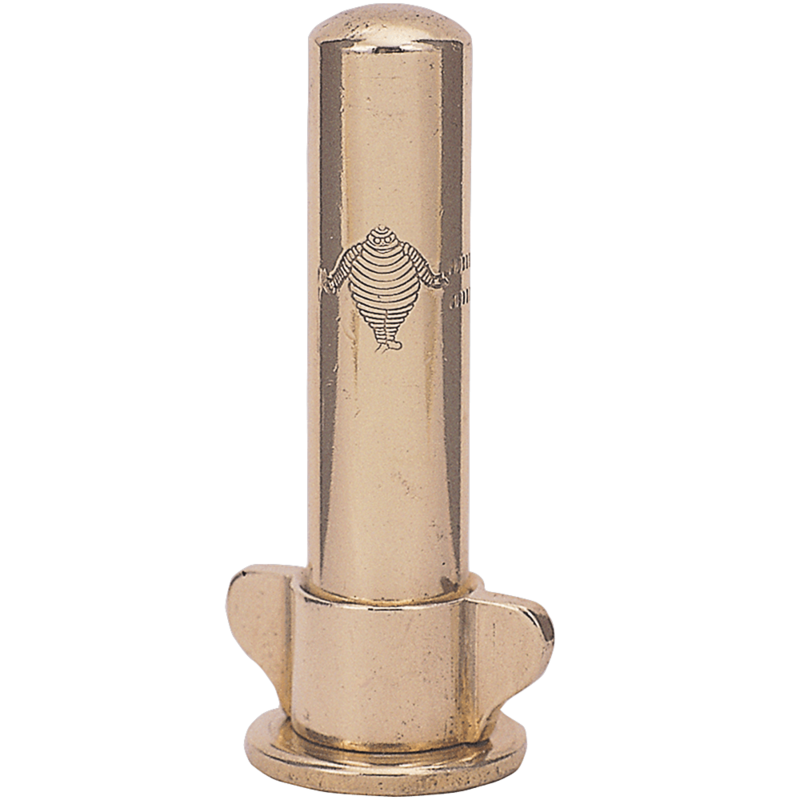 This is a Michelin brass dust cover for brass stem tubes. The period correct valve stem covers feature a vintage Michelin logo. 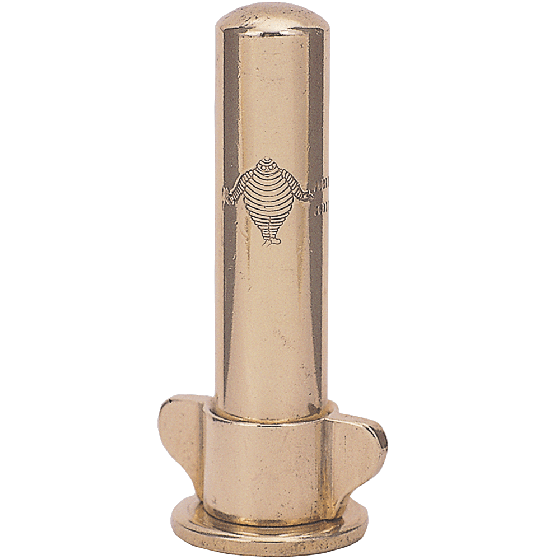 This is an authentic brass Michelin dust cover for early, brass-trimmed cars for use with threaded, metal stem tubes and wood-spoked wheels. Coker Tire Company offers several dust caps for cars built before World War II. Please advise if you are able to supply this type of valve cap in nickel plated. I need minimum of two, but prefer three? The nickel version is available here. what is the overall length of these covers? The overall length is 2 5/8".